Progress can be hard to detect because it is often slow. It seems to be especially slow when it comes to issues about which we really care. It is tough to be patient in the face of perceived injustice, discrimination, bigotry, and the like. And yet, it is important to recognize the progress we have made. Doing so may help to prevent us from giving up on the pursuit of progress we still desire. While watching part of an old movie the other day, I found myself thinking about how unusual it would be to hear a married man begin a sentence with, "As the man of the house..." and end it by forbidding his wife to do something. This was probably not uncommon a couple generations ago. I never heard anything like this from my grandparents, but I would have believed it if someone had told me that they had overheard something like this from them or their peers. It would not have seemed all that far-fetched. I would have been more skeptical if someone had said the same about my parents or their peers. Some people of their generation undoubtedly thought such a things at times, and I'm sure some might have said similar things once in awhile. But I bet most felt silly for doing so. Aside from some religious fundamentalists, it is tough to imagine any man saying that with a straight face today. I think most men (and women) recognize how ridiculous it sounds. It is undeniable that we still have a long way to go on many important issues. Recognizing and appreciating progress in no way means that we should be satisfied and stop working to bring about change. 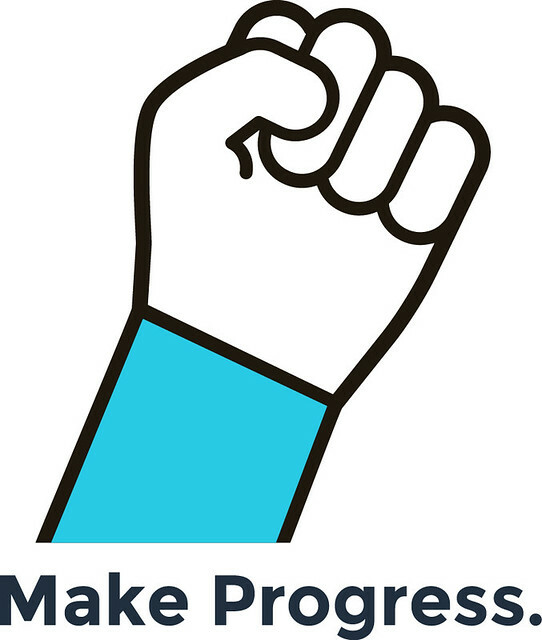 To the contrary, I think that acknowledging progress should help to inspire us to keep at it. When change feels too slow and we are on the verge of giving up, reflecting on progress might help us rediscover our motivation. I can understand why some atheists are frustrated with what they perceive as a lack of progress on something like the social acceptability of anti-atheist bigotry or the persistence of Christian privilege. I share their frustration. It is something I think about regularly. But if I'm honest, I have to acknowledge that there has been progress even here (just not enough of it). When I was a child, atheism was presented as being synonymous with Soviet-style Communism. Atheists were not simply un-American; they were traitors who threatened everything about our way of life. They were the enemy, and patriotic Americans were encouraged to hate them. Unfortunately, some of these attitudes are still present today. They are sometimes expressed by elected officials or candidates running for political office without consequence. Still, I suspect they are less common than they used to be. I've also noticed that when they are expressed, there tends to be at least a little bit of push-back from the tiny atheist community that continues to be plagued by needless division and infighting. Maybe there isn't yet enough push-back, but I don't think there would have been any back in the day. I wonder how things might be different today if atheists had organized around the goal of ending anti-atheist bigotry 40-50 years ago, resisted the internal divisions, and persisted in the pursuit of this goal. I'm not suggesting that they wouldn't have had other goals and wouldn't have been working to achieve progress in other areas; I'm merely wondering how things might be different if this had remained a central part of their agenda and they'd managed to avoid tribalism. There's no way to know, but I suspect things might be a bit better.